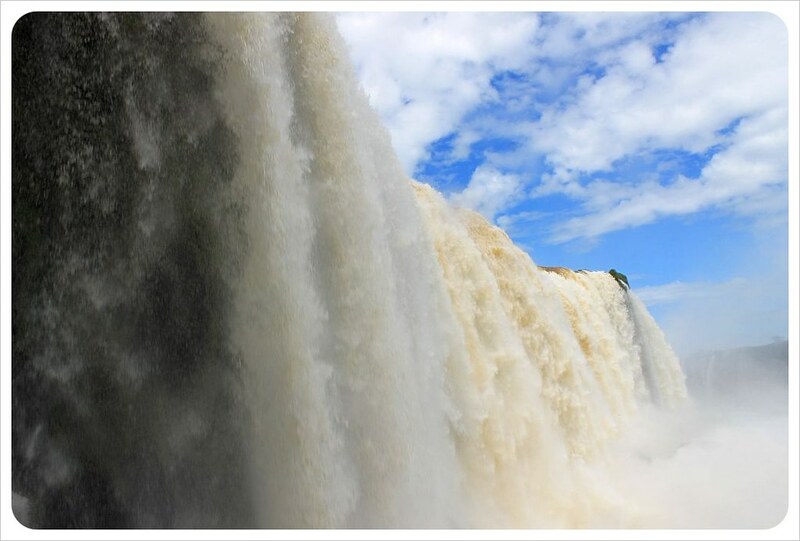 The world-famous Iguazu Falls are often named as the most spectacular waterfalls in the world and listed as the New 7 Wonders of Nature in 2011. 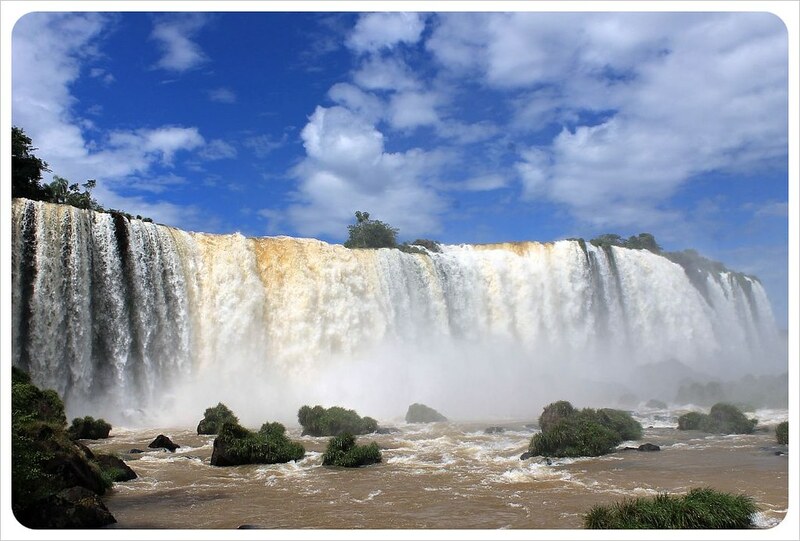 When we were planning for the South America leg of the trip, we never thought Iguazu would be something we would skip. Yet when we were just one step away in Rosario, Argentina suddenly we questioned whether we wanted to make the trip. After months of never-ending bus rides, should we really take a 24-hour bus ride up to the Falls for just two or three days, only to take another 20 hour bus ride from there to Salta, our next stop? 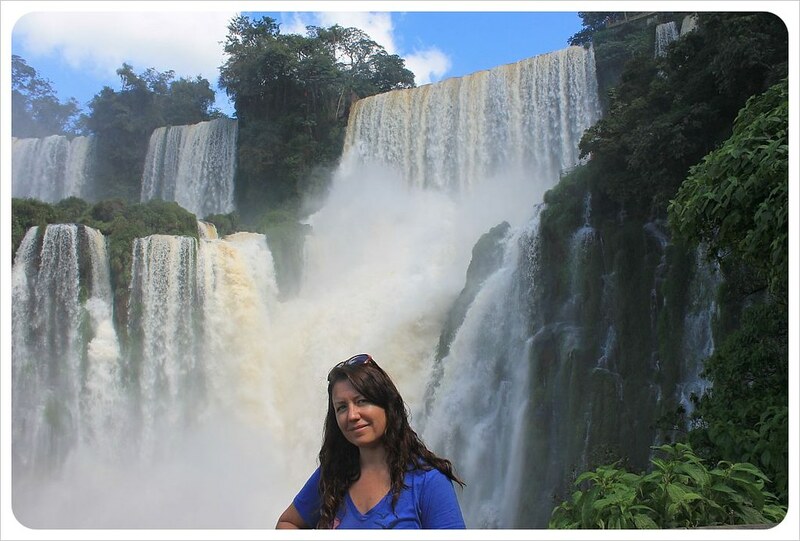 I was committed to the long detour up to Iguazu Falls, but was feeling completely burnt out when we got there. Thankfully, or not, the first two days in town were gray and rainy so we pushed back the trip to the falls until the third day. Unfortunately, both the town of Puerto Iguazu and our hotel left much to be desired and I was doubting the decision to come to the Falls. In Patagonia, we could have drunk the water straight from certain rivers it was so clean, and Buenos Aires felt practically European. 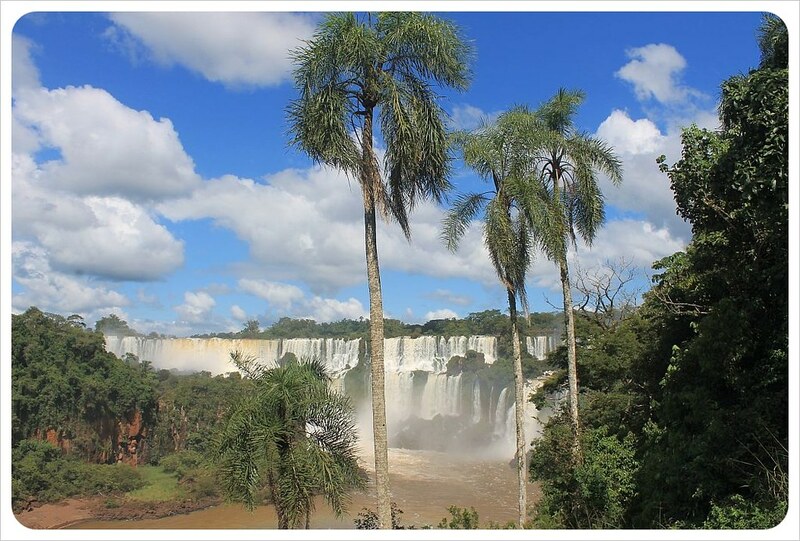 But Puerto Iguazu felt run down, our overpriced budget hotel bed gave us itchy legs and the only good wi-fi was at Freddo and Bonafide, Argentina’s biggest and most impersonal ice cream and coffee chains. The town felt like a tourist trap, and my alarm bells go off at the mention of a tourist trap, so I was already on edge. Was this really going to be better than Niagara Falls, I wondered? 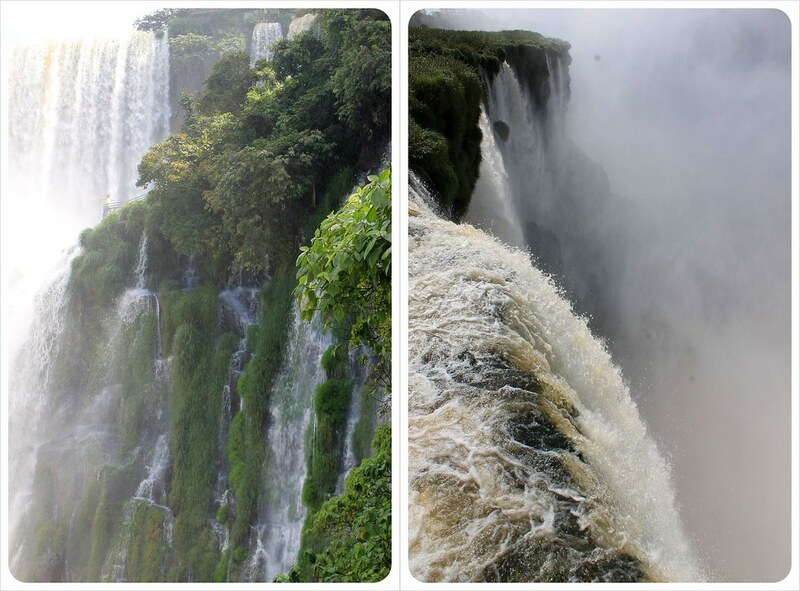 It made sense to compare the two, as both can be visited from two sides in two different countries: Niagara Falls runs along the border of the U.S. and Canada, and Iguazu Falls actually runs between Brazil and Argentina. Act 1: We hiked through the forest, dodging tourists, talking, laughing together until we reached the first viewing platform. Here every bit of doubt and sarcasm was zapped out of my system. The first views were incredible, like nothing I’ve ever seen before! This was 10, even 20 Niagara Falls lined up in a row. I was consumed by the 375,000 gallons of water rushing over the falls edge per second and I wondered how many seconds would it take for the water in one of Patagonia’s massive glaciers to rush right by my eyes here? Ten seconds? White, blue, brown and beige water rushes past your eyes in every pattern, from rapids to waterfalls crisscrossing over and through each other, grape-sized droplets exploding off as mist and spray. I even found the walkways incredible: wood and steel paths hang directly over water, and you stand just meters from the moment when the water rushes over the edge. If you were to fall over, you’d be no more significant than a drop of water yourself. I have never felt so small..until the next part of the day. 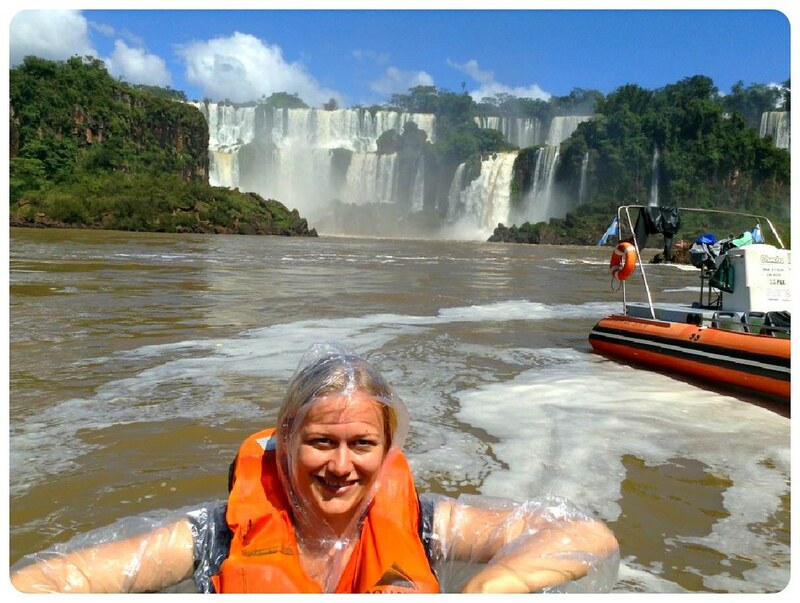 Act 2: We took a speedboat out onto the Iguazu River alongside the falls. I expected to cozy up near the falls like we did at Niagara, where I filmed the whole time. Oh no! Everything we had with us went in massive dry bags and the speedboat literally took us under one of the falls. I had absolutely no control, my eyes tried to stay open to experience this completely, but I lost the battle and completely stopped blinking and kept my eyes shut after a few seconds. This was a thrill like no other and gave me a respect for the Iguazu Falls that I simply can not articulate. Can you spot the tiny boat below the Falls? We dried off and made our way on the train, which I suddenly didn’t mind, and made our way to the only other stop – The Devil’s Throat. Act three, Devil’s Throat, was probably the most amazing experience of the day in terms of sheer wonder. In this one little corner of the Iguazu Falls, over 50% of the water plunges from the Iguazu River above into the Parana River below. The mist bounces back up higher than skyscrapers and so thick you can’t possibly see the bottom. I couldn’t get enough of staring down into this incredible abyss. The next day, Dani went to see the falls from the Brazilian side, but American passport holders have to pay $130 for a visa just to cross over for the day (the same as for a three month tourist visa) or risk sneaking over on local buses and not paying, but I don’t take those kind of risks, so I didn’t go to Brazil. 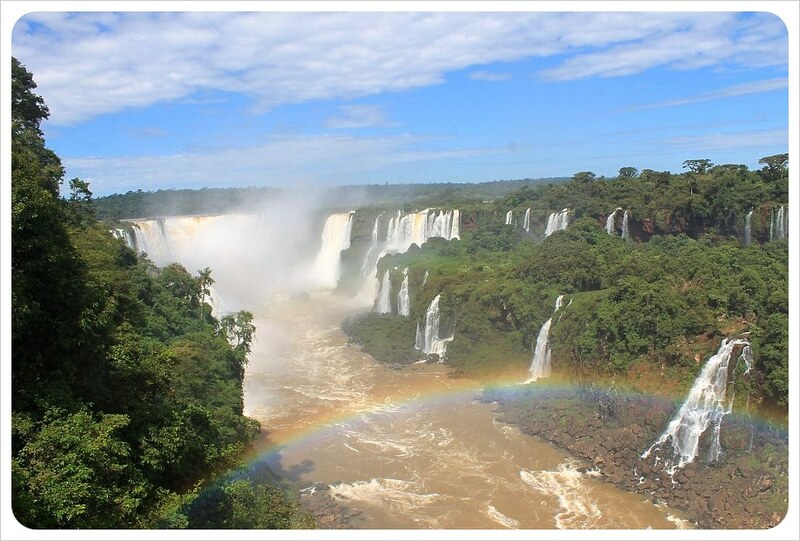 After two days of rain in Puerto Iguazu, the weather on the third day was perfect, and I was so relieved. I felt sorry for the people on their tours who only had one shot at seeing the falls, and had to go in the rain – what an entirely different experience. I knew I’d be taking hundreds of photos and had read that sunny days meant rainbows and butterflies – how could we not wait for that! We had to walk to a little jungle train station, take a little train to the first stop called ‘Cataratas’ (waterfalls in Spanish) and followed the upper trail. I heard the water before I saw it, but when I finally got that first glimpse of the Iguazu Falls, I immediately understood why people had said to us that Niagara Falls seems tiny in comparison. 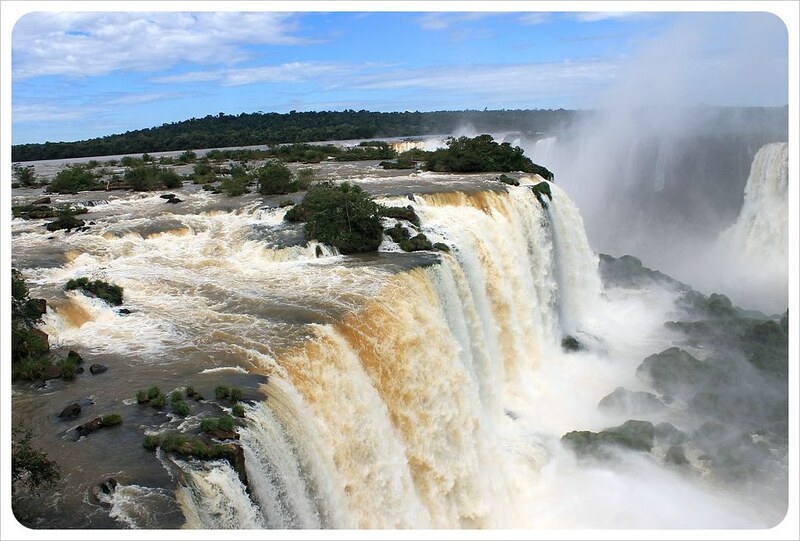 Apparently, Eleanor Roosevelt sighed, ‘Oh, poor Niagara’ when she first saw Iguazu. Even though that first glimpse reveals on a fraction of the over 270 falls, I was blown away by the size and power of what was within my view. There were two trails, upper and lower. First I took Jess up to get an overview from the platforms and then went down to the lower trail which I had read was where you really felt the power of the falls. We got soaked just from the mist, and I’ll never forget how loud the crashing water was and how close I could actually get to the various waterfalls. From there we got in line for the speedboat (we bought tickets along with our bus tickets back in town). When the driver actually went full-speed under one of the waterfalls, pure adrenaline rushed through my veins as the water landed on me with full force. For a second I thought we would all drown. Within a minute, I was soaked to the core. 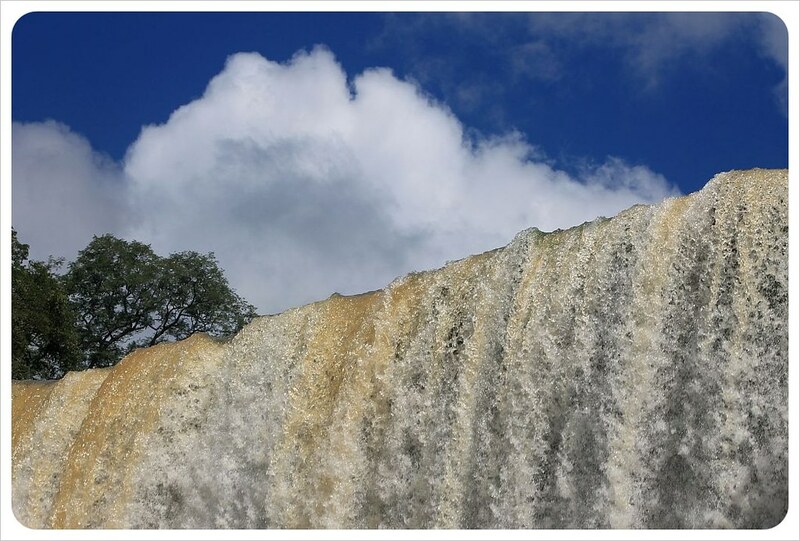 From there we made our way to Devil’s Throat (Garganta del Diablo), which is over 700 meters wide and 82 meters high. This is the biggest waterfall in Iguazu, and even though we had already been at the falls for hours by the time we jumped onto the train to the viewing platforms, this was such a highlight to the day. First, we walked one full kilometer on walkways over rivers and through jungles that there would be no other feasible way of traversing. 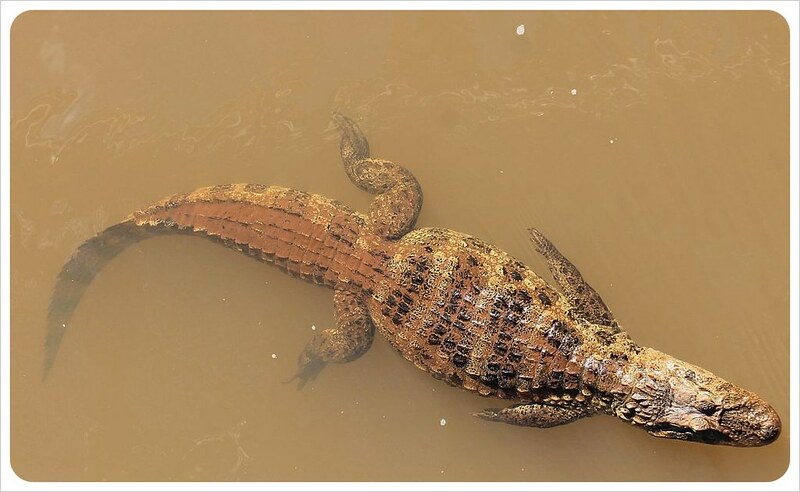 I watched a crocodile chill out next to a catfish the size of a dolphin for over 20 minutes, in awe of the fact that they were not 50 feet from the edge of the Devil’s Throat and yet would never be able to fathom what a giant drop lay just beyond their neighborhood. When we finally got to the U-shaped Devils’ Throat, I was overwhelmed by the power of the water, which somehow seemed ten times more powerful than the other falls we had seen that day. Knowing that the water was rushing over the edge, non-stop, day and night in perpetuity made me feel dizzy. The next day, I went to Brazil by myself. We fly sometimes (rarely!) without each other, but are always together when we go through land borders, so it felt strange to worry about visa stamps, hearing Portuguese and dealing with a new currency all while Jess was back at the hostel. On the Brazilian side there is no train, just a bus to the first viewing platforms. Only one 1.5km walkway follows along the cliff, unlike the many trails weaving up and around the Argentine side but it offers exactly what the Argentina Falls can’t offer: a panoramic view of almost all of Iguazu Falls. The most spectacular feature on this side of the falls came right at the end: a viewing platform right in the Devil’s Throat. Like Jess said, in Argentina it’s like looking down into an abyss, but in Brazil a walkway brings you over the river along this massive wall of water that crashes down right next to you (and obviously soaks you). It’s a magnificent sight. The walkway ends at the viewing platform directly over the second half of the terraced falls. Standing on this terrace I saw the upper half of the waterfalls above me, and the lower half crashing into the river below me, water around me on three sides, thanks to the U shape of the Devil’s Throat. This is what I felt made the Brazilian side really special and definitely worth the visit. As much as I’ll remember the waterfalls, on both sides I’ll also never forget the thousands of colorful butterflies fluttering past and even landing on us, ever so gently and often. The jungle here felt like some sort of paradise right out of a storybook. 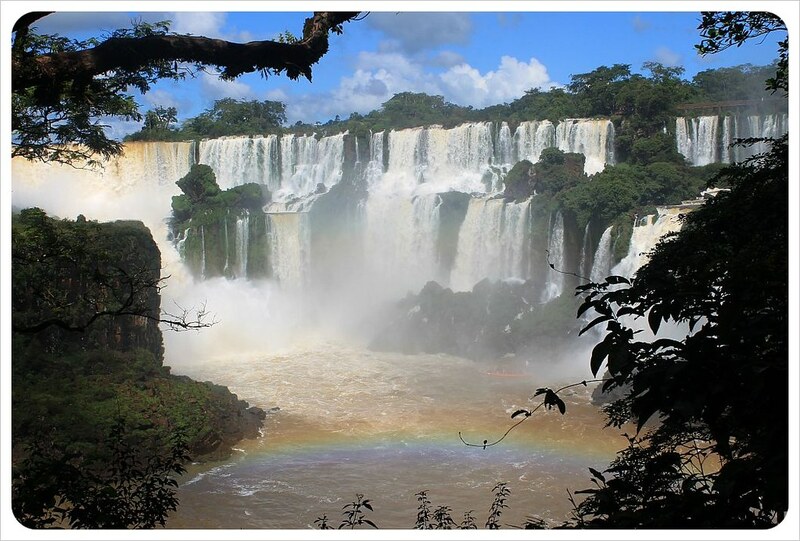 Yes, without question, a trip to Iguazu Falls is worth every penny and minute of time to get there. 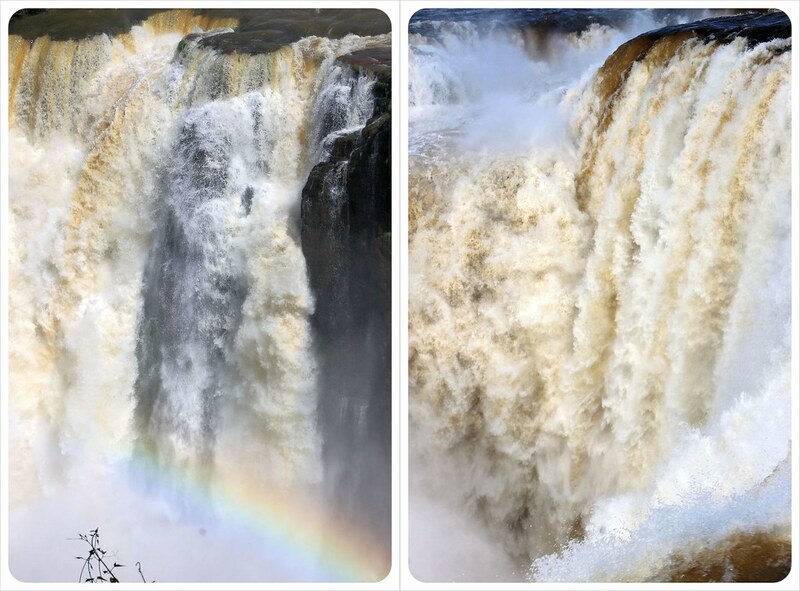 It is hard to comprehend the power of these waterfalls, but once you are right underneath them, you get the full gasp of how they are able to provide enough energy for all of Paraguay and 20 per cent of Brazil. 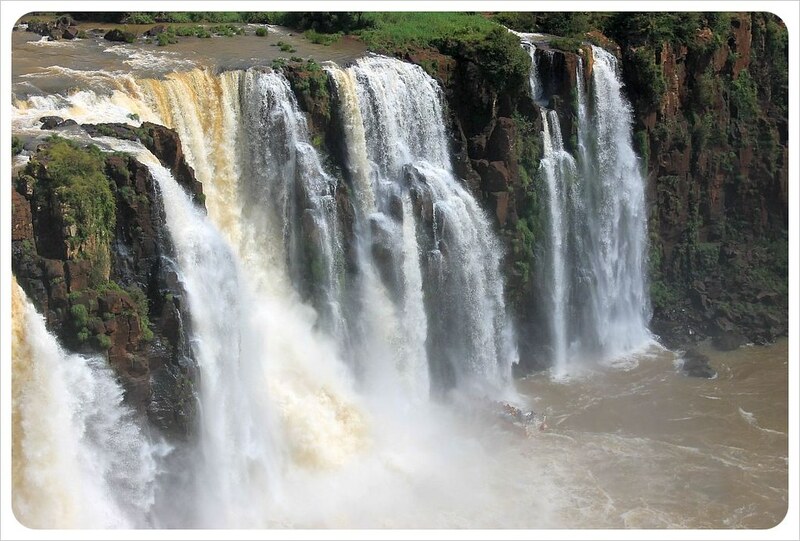 There are other, equally famous falls in the world, like Africa’s Victoria Falls which are larger but don’t have the walkways that give you the kind of access that you have at Iguazu, and then you have Niagara Falls, which are simply ‘cute’ in comparison. 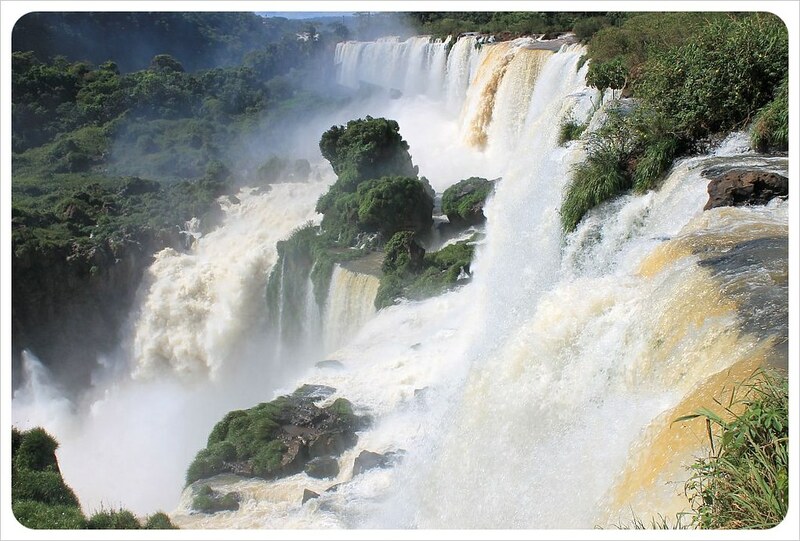 Unless you take a helicopter from the Brazil side, it is impossible to see the entire 1.7 mile stretch of cliffs where the Iguazu River crashes 60-80m down into the Parana River below. Plan in at least three days in town so you go on a day with good weather. It makes all the difference. Stay either in Foz do Iguaçu (Brazil) or Puerto Iguazu (Argentina). Both are thirty minutes from the Falls. Local buses go from either side every twenty minutes. There are also nicer, air-conditioned buses at a higher price. If you visit the Brazilian side from Argentina, fork out the $2 extra for the tourist bus – that way you don’t have to change at the border. Bring your own picnic lunch. The food on both sides is mediocre and overpriced. 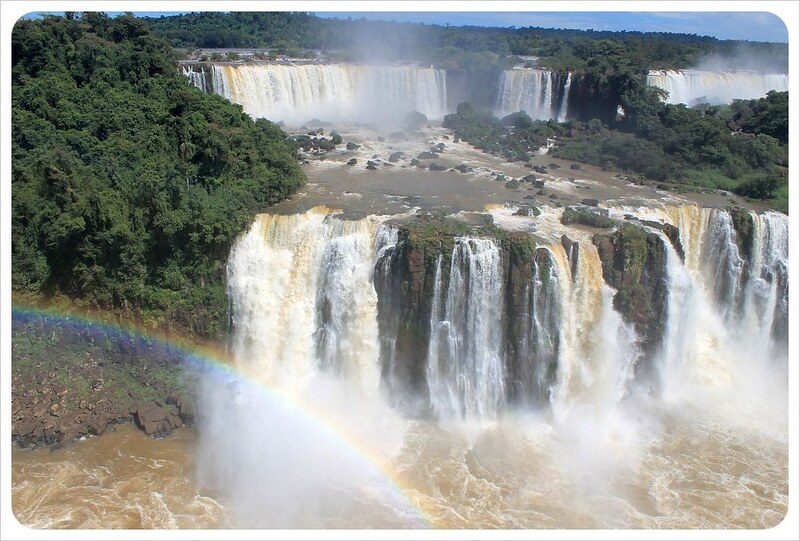 What does it cost to go to Iguazu Falls? 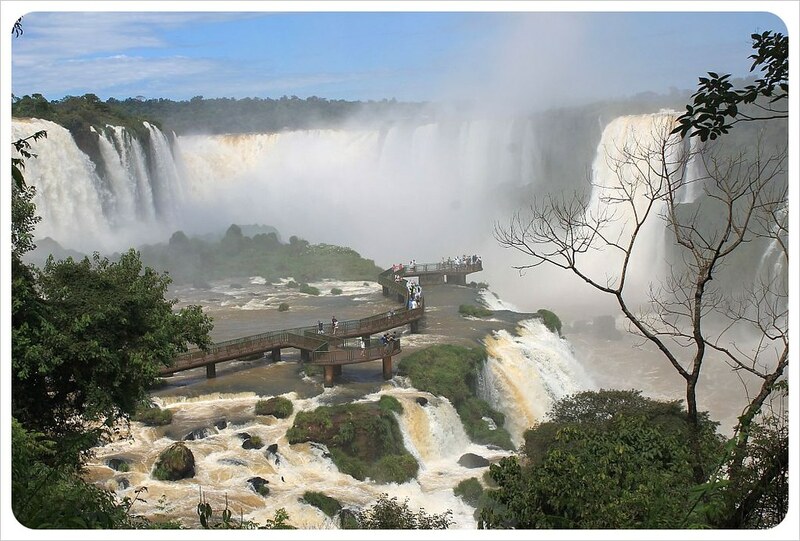 Bus from Buenos Aires to Puerto Iguazu: There are several companies that offer the 20-hour bus ride from Buenos Aires to Iguazu on a daily basis; prices range from ARS650 – ARS850 (US$117 – US$153). You can find a full list of bus companies and prices here. 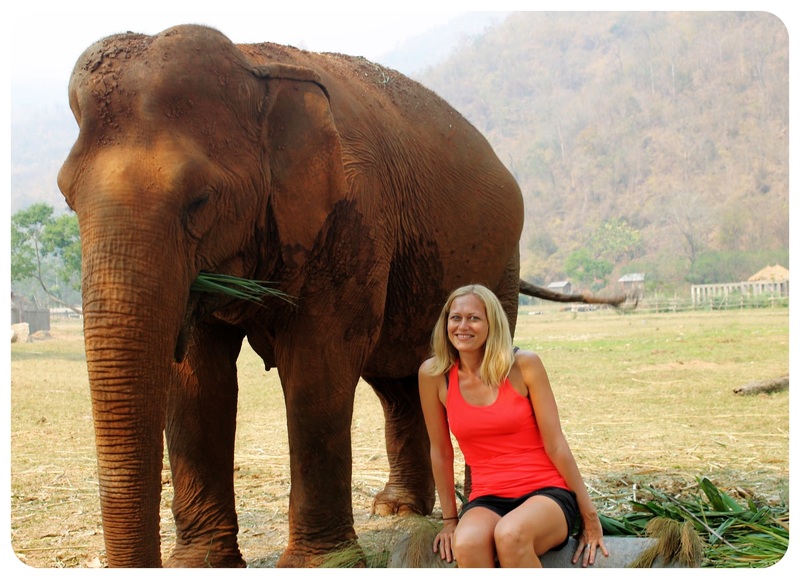 If you’re American, either get the $130 tourist visa or don’t go. Fellow travelers Megan and Adam from WorldTravelForCouples.com got sent back at the border, others get fined. If you’re going to Brazil anyway, then it’s not a problem. 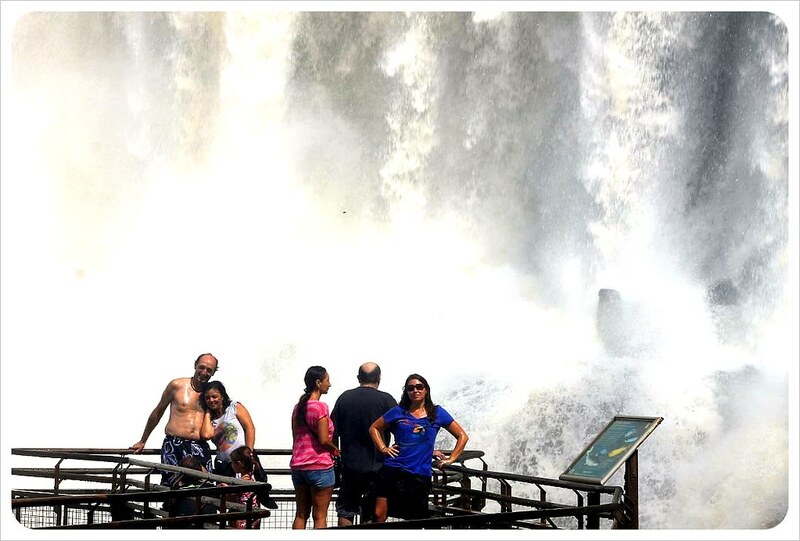 Check out Iguazu Falls, Part II: Six things nobody tells you about Iguazu Falls! Those photos are amazing. I’m in awe of the waterfalls and I have never been, but you guys did them justice. Maybe one day I’ll make it there..fingers crossed. 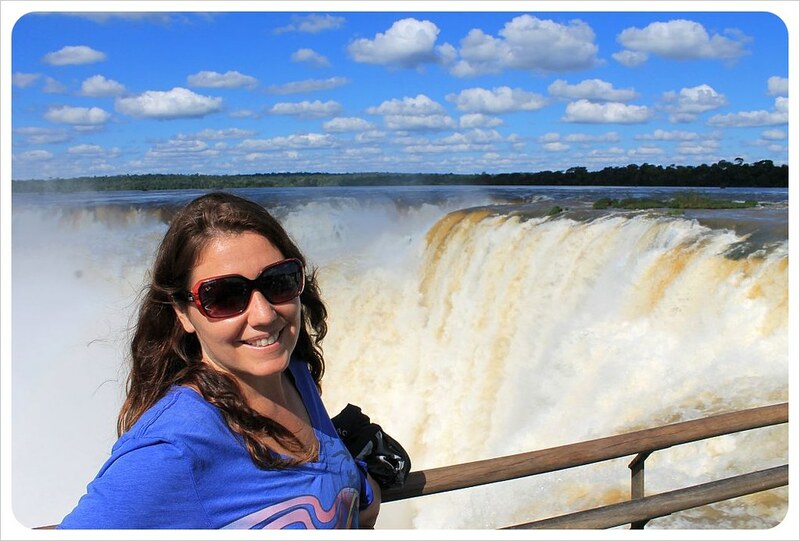 I loooooved the Iguacu Falls. It is one of the most spectacular things I have ever seen in my life. 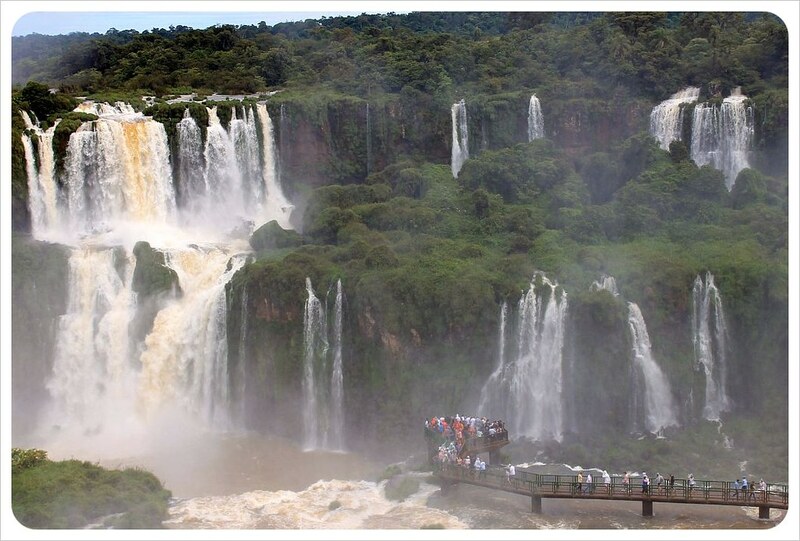 Never been to to see the Niagra Falls, but I just love the fact that the Iguacu falls are surrounded by jungle. It makes them look even more mysterious I think. It is truly AMAZING! We were wowed by Niagara Falls when we went there and had no idea that Iguazu would be so much more powerful, and so much larger! What a spectacular work of nature! Thanks for sharing your experience and photos. Thanks, Wendy! It was definitely one of the highlights for us in South America so far! beautiful girls..beautiful..blog..beautiful location..nothing else to say. We are at the final countdown of going to Argentina. The falls look amazing. And definitely better than Niagra Falls! We are looking to spend a couple of days in BsAs before heading out to Iguazu Falls. Any tips on hotels in either place? Many thanks. 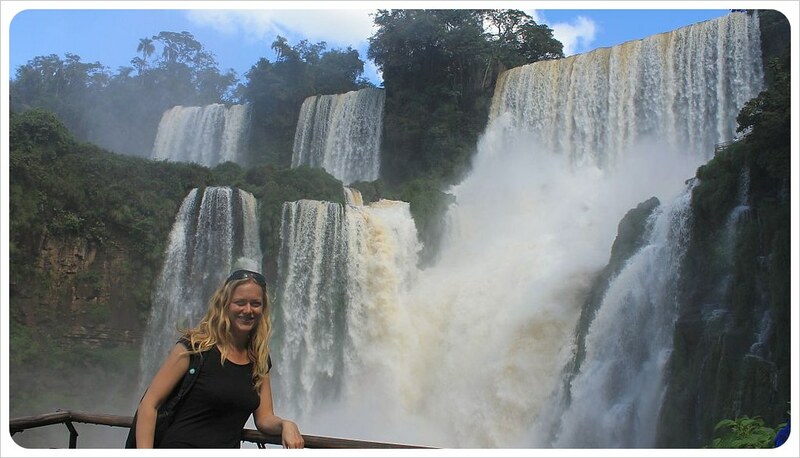 Hi Johanna – We actually took a direct bus (about 24 hrs, it was delayed) I don’t remember which company we took – I think there were only a couple of companies at the bus station that offered the direct connection to Iguazu and we chose the cheapest one 😀 Enjoy the Falls! I do have one question about visiting the Brazilian side of the falls. Can we get visas issued at the border? If so, I presume we have to pay with cash (pesos)? Hi Sara – If I remember it right, you were able to get a visa right at the border but I am not sure, I’d double check that. But if so, yes, I’d bring enough cash along 🙂 Enjoy Iguazu!! At the time I visited, about three years ago, you had to get it on-line in advance. You couldn’t get one at the border for some strange reason (we had to go back twice). Hi… i’m a tourism guide in Brazil and i have one small observation to make. 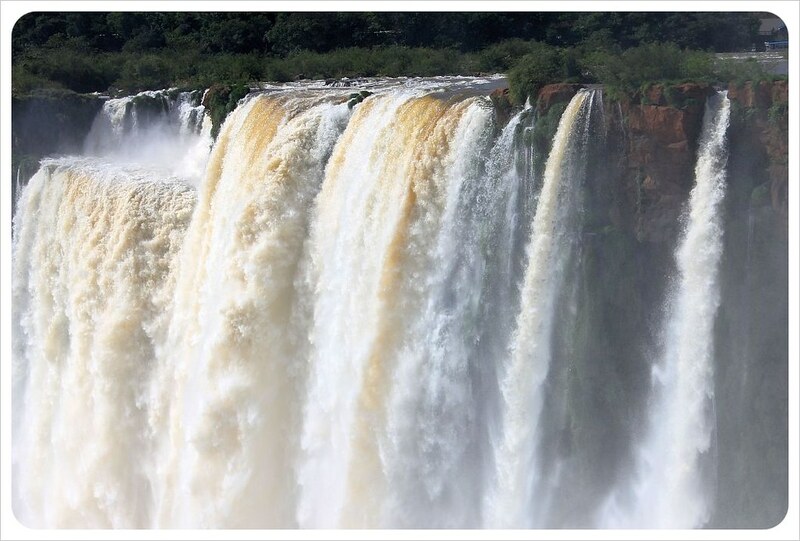 When you said “…how they are able to provide enough energy for all of Paraguay and 20 per cent of Brazil” – this is not the Iguassu River. This is the “Parana River” which is maaany times bigger then the Iguassu, and the Itaipu dam stays only 13 KM from “Foz do Iguacu”city. Once there, choose the “Special Visit” that will take you to visit the core of the dam. Very interesting and really informative. Lovely photos, too! 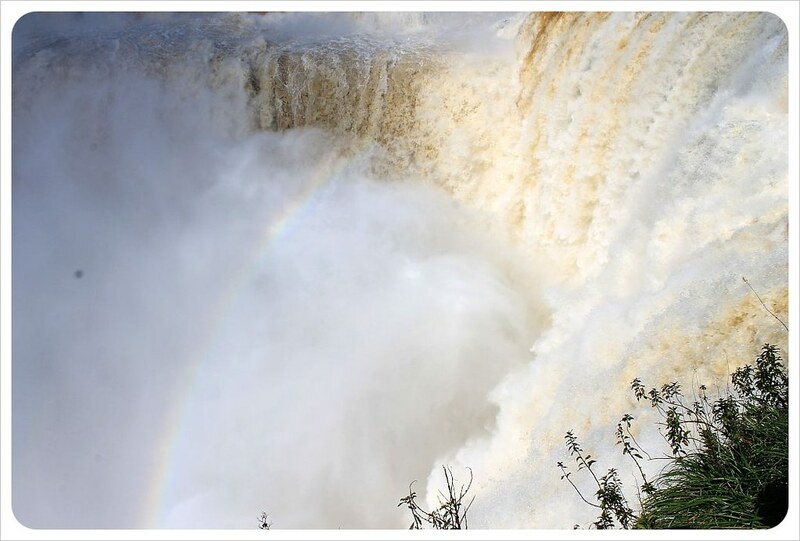 Glad you made it to the Brazilian side – the old expression is that Argentina owns the falls, but Brazil owns the view. Kinda like Niagara. There’s lots to see on both sides though, and I definitely remember that awesome feeling as well when you reach the first view of those magnificient falls. 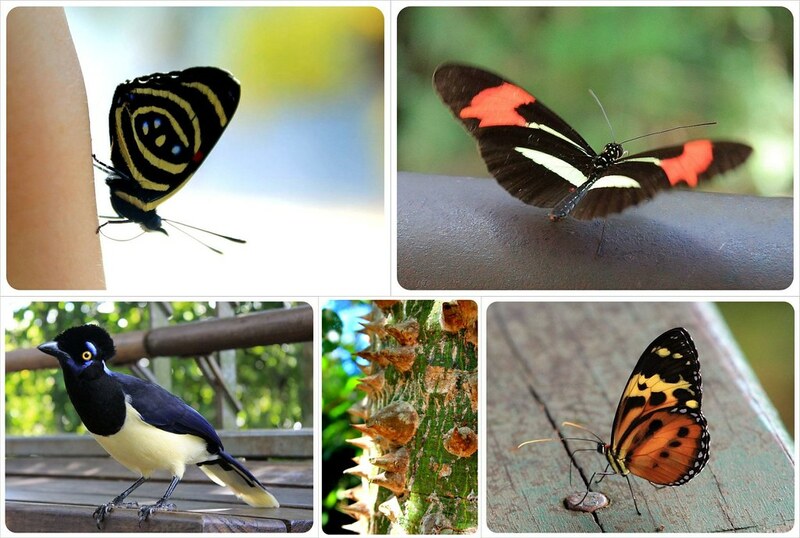 On the Brazilian side, there’s a nice Bird Sanctuary across the street from the entrance, as well as helicopter tours. 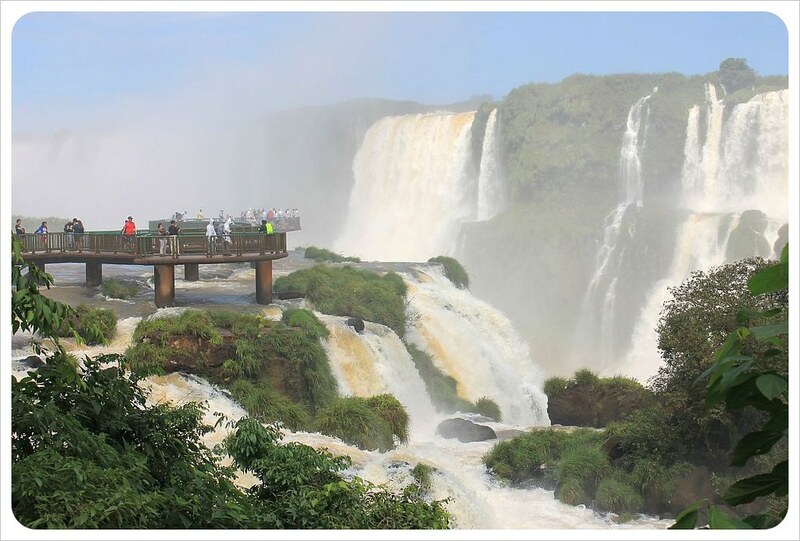 Also, Foz do Iguaçu sounds like a better place to stay than Puerto Iguacu, from what I’ve read, though still not a perfect tourist destination. There’s also a large dam to visit on the Paraguay border with Brazil, if you like that stuff (we did). One last thing not mentioned about wildlife is the Coati – very agressive but also fascinating and entertaining. Good article, thanks. Made me re-live it. And yes, I agree it is definitely worth the side-trip and expense. We had no regrets. A very informative post and lovely photos. I will add some additional info here. 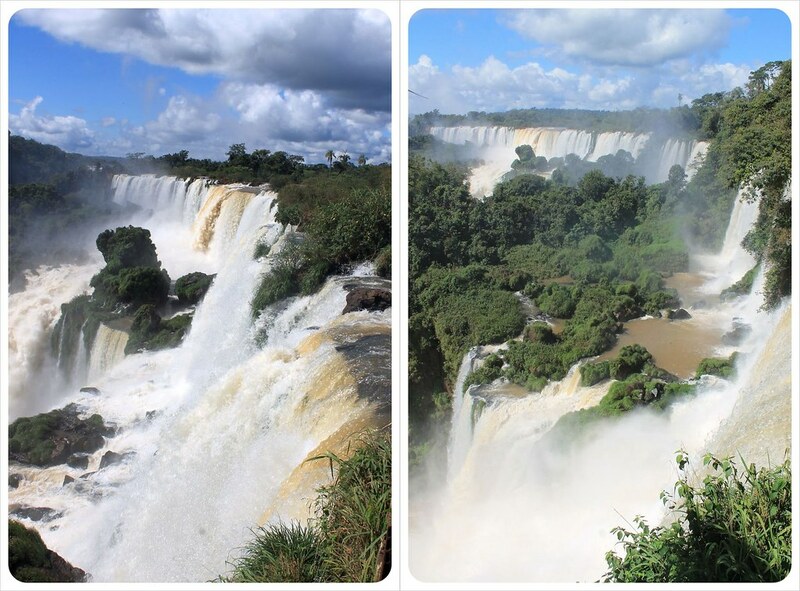 I visited Iguaçu in August 2011, and these were my experiences then —note that things might have changed in the intervening years. I recommend you take a nylon or a cheap plastic rain poncho (or maybe 2 since the cheap ones are very flimsy) with you. You can buy them on eBay for a few dollars. They sell them at the falls, for much more. You can feel the overspray from far away, so when you get close you will get very wet. If you have the cheap ones, you can give them away when you leave. But if you are continuing your travels, it might rain elsewhere, so you might keep one in your backpack (lighter & less trouble than an umbrella.) 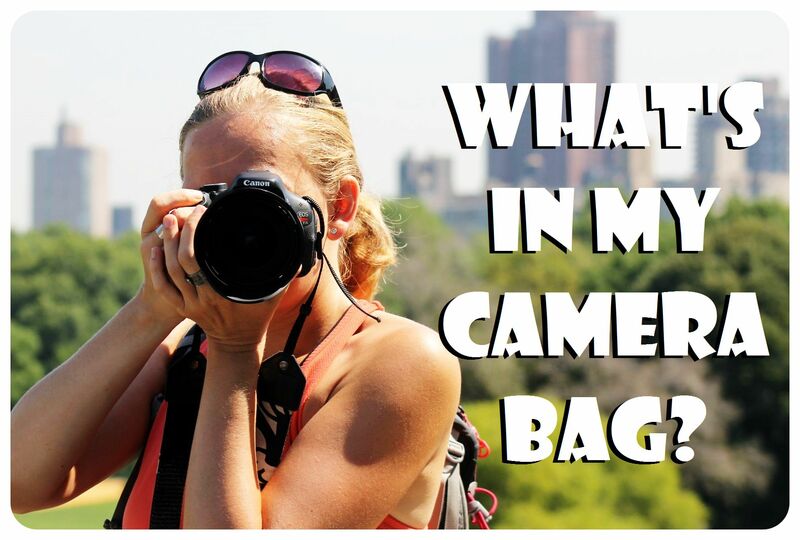 I’d also recommend taking some zip-lock bags to put your things in, and place those inside a nylon backpack. I kept my camera under my rain poncho, and had paper towels in a pocket to wipe it dry after taking a few photos. I visited the Brazilian side first, then took a bus to Argentina the next day. At the border, you must exchange money for pesos. The people there will give you an estimate of the cost of the bus to the entrance, the entry fee to the falls, boat trips, etc. and then you can add some for food and souvenirs. 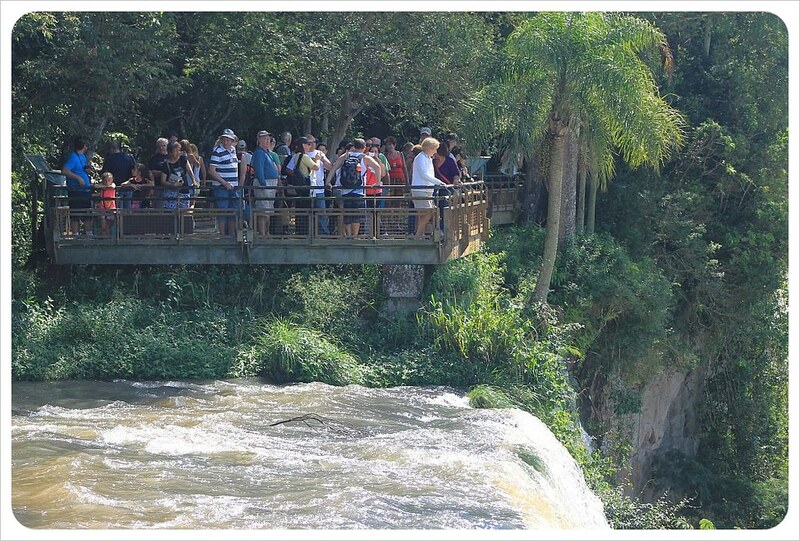 From the entrance to the falls in Brazil, it’s a walk of about 2 minutes to a beautiful bird park. You can enter some of the cages to take photos without the cage between you and the birds. The bus back from the falls entrance stops at the bird park to take you back to the city. I had some leftover pesos which I thought I could exchange for Brazilian cash on the return trip. The bus stopped at the border, but we didn’t leave the bus or go into the customs office. However, my hotel in Foz do Iguaçu took my leftover pesos and put the rest of my bill on my American Express card. I think most places in town take Argentinean or Brazilian cash and most credit cards. If you can take only one card to Brazil, I suggest VISA. I take several. That way I can get the best cash back deal if they t or airline miles if they take my preferred cards. (I never saw any place that took Discover.) Make sure your cards have no foreign exchange fees. I stayed at the Hotel Del Rey in Foz do Iguaçu. Nice, moderately priced, but not fancy. Rooms a bit small, but adequate and include a refrigerator. The breakfast buffet (included) was great and for about $8 (US) they served a fabulous dinner, too. There is a pool on the roof, too. It was across the street from the bus to the airport & the Brazilian side of the falls and only 2 blocks from the bus to Argentina. It was close to a supermarket and the zoo. In 2011, the internet charge was high. Now the hotel —and most others in Brazil —offer free wifi. Although I used to live in Brazil and spoke Portuguese well, I had forgotten a lot. The hotel staff spoke English, Portuguese and Spanish. I will be returning in 2016 or ’17 & have found several vacation rentals that look promising, so that is an option, too. I won’t have a car, so I need a place near public transportation, so I might return to the hotel since it was so convenient. I found the small city there lovely, with wide, tree-lined streets. Very little traffic even at morning rush hour. It was a nice change of pace from Salvador and Rio. I’m a senior citizen, not at all interested in night life, but you can probably find some if you look for it. I didn’t have time on my last trip, but I have heard that the tour of the power plant is interesting. There are several different tours at various prices, so next time, I plan to stay 2 extra days. If it rains for a day or two, I can tour the plant and take a rest-day. Our trip will be for about month and for a long trip, I need a day here and there to slow down. Unlike Europe, most Brazilians don’t speak English —but they do in most tourist hotels or attractions. However, i would recommend when traveling anywhere, you learn to say, at the least, things like “thank you,” “please”, “do you speak English?” “the bill, please” “where is the restroom” and other similar phrases in the local language. You can learn most on the internet. I download an English-Portuguese (or other language if I’m traveling elsewhere) dictionary and translator that doesn’t require wifi connection to my iPad mini so if I’m at a place that isn’t connected, I can look up a word or phrase. On TV in Brazil, you will find some U.S. reruns (for example Law & Order was on quite often in 2011.) They are in English with Portuguese subtitles. So, you will have something to entertain you in your room. But it won’t hurt to take a tablet you can connect to wifi or a good book. Recent English books are hard to find in Brazil, so if you finish one, give it to an English speaker who lives there or donate it to your hotel for other guests. And don’t forget to take a set of foreign plugs to fit almost any outlet so you can charge camera batteries and your other electronic devices. Another important thing to remember is that Brazil moves at a slower pace than the U.S. and not all the conveniences of home are available everywhere. But the Brazilians are warm and welcoming, so that should make up for any inconveniences. Slow down, relax, be patient, and enjoy your visit. Are there any ways to fly to an airport near the falls instead of taking the bus?? ?